1: New game mode: Battle Royale. CoD hasn’t seen a Battle Royale, so a new exciting game mode. 5: Game is boots on the ground which gamers tend to love. 7: Characters, each unique character has its own special abilities. So it’s a must to play as a team. 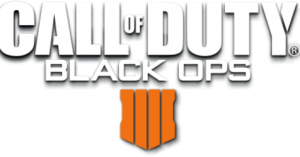 8: Zombies: if you liked zombies in WWII, you’ll love it in BO4. 2: Maps: recycled maps from previous CoD as already stated. Paying the price you do, it’d be nice to see new maps. 3: Campaign: THERE IS NONE! I’m not real happy about this as I enjoy the campaign mode. 4: If you’re new to Black Ops like myself, other players that have played the maps in previous editions, will have a leg up. 5: Campers: I’ve noticed that there’s a lot more camping going on compared to WWII. Just take your time moving around and you’ll be just fine.